5 steps to buy income property will teach you real estate investing. Income property is investment property bought or developed to earn income through renting, leasing or price appreciation. This can be a condominium, townhouse, home, apartment building, industrial property or commercial office building. Recently, I wrote an article that described my journey to success that described how I invested in income property. 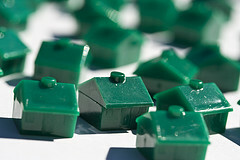 First: Find a good real estate broker who specializes in real estate investments that you trust. This is not an easy task because you are a first time buyer. Most experienced real estate brokers do not want to teach you what you need to know to buy income property. You can learn everything on your own or have a good real estate broker teach you. I interviewed thirty (30) brokers before I could found one I could trust and would work with me. Second: Commercial real estate is different that residential real estate. If you want to buy a home, it is in the Multiple Listing Service (multiple). It is a semi public listing of real estate for sale. Real estate brokers list their properties for sale in the multiple and can give a list of properties in your area which are for sale. Although income property is listed in multiple, many times the brokers hold listings as pocket listings to market to specific clients. Knowing the right brokers provide access to their pocket listings. Third: You have your broker and access to listings now what? How are your math skills? Income property is priced based on income! What a surprise? Your goal is to purchase a property with sufficient down payment to break-even with current income. Is that all there is to it? No! Is the income at market rents or can you raise the rent? Is there deferred maintenance on the property? You know repairs that should be done, but were not. It could be a roof, equipment, or paint. The expense may run from a nominal dollar amount into thousands. Remember this is an investment that you wish to make a profit. Fourth: Next stop is financing, the lender will determine how much money is required for your down payment and if you expenses are reasonable. They will calculate the rental income, expenses and reserves to determine your break-even point. They add in reserves for vacancy, repairs and replacements to make sure you can make the payment on the loan. Generally, they will require a higher down payment than buying a home. A good FICO score helps you with your banker. It is good to have your mortgage financing in place so you know how much you can afford. This is the same rule of thumb that you would use buying a home. Fifth: You found your ideal property, whether it is a duplex or 100 apartment complex, you have the right to inspect the property. What do you look for during the inspection? Everything that could cost you later, this is your opportunity. Bring along an expert such as a contractor. You want him to assure you that there are no surprises. He may charge a fee for this inspection. A couple hundred dollars to uncover an expensive repair is cheap if he finds everything. The costs will be used to negotiate with the seller for a better deal. You just closed your first of many deals! I always enjoyed the hunt for properties and the negotiation. Owning or operating the property always presented opportunities for profit and expenses, so it was hardly fun! If you selected the right real estate broker, he can help you find good repair people, management and teach you what you need to know. Learning landlord/tenant laws, how to find tenants, marketing the property and things to watch out for are just some of the pitfalls. These are just the first 5 steps to buy income property! Interesting post kc – i’d like to get into income property in the future, and your tips will definitely help! It can be lucrative, but treat it like a business. It certainly is not passive income, if you are actively involved. I like the simple step-by-step layout of this process. We are in the planning stage of preparing to move out of our home and turn it into a rental. Without refinancing I don’t think it will generate positive cash-flow, but perhaps in a few years we can do that when we are in a better equity situation. One of the tips I teach in my Personal Finance class is to turn your first home into a rental. Remember to screen the tenant really well. If you can visit the perspective tenant at their current home to see how they treat that apartment or house. Will your rental fee include maintenance of the lawn? And never assume they’d maintain the lawn themselves! We were the only renters in our neighborhood who would maintain the lawn, and one particular house you know their landlord is slow about mowing because their yard will be a JUNGLE before it gets cut. I’d definitely include maintenance in their rent. When I rented out my house I included the cost of the gardener and pool service because I wanted the house to be well maintained. This way the property is maintained the way you want it to be. Secondly, the services will let the owner know if there are problems. This comment is worth a million bucks. Smart thinking to add a value to the tenant in automation, and to protect the value of your home with a third-party “watchdog.” That’s a gem right there. No one will care about your property more than you. Visiting your property is always a good move and generally a lease only require 24 hours notice. The best advice I ever received was when you are ready to approve a tenant, visit their current home. You will see how they live there and how they take care of it. I will be investing in property later down the line. I am waiting for the economy to worsen before I jump on some deals. Great tips. What if it doesn’t? If I were going to do something, I would test the waters now. You will only know if we are at the bottom using 20/20 hindsight. As a former landlord, I have too many stories too. I have had good tenants go bad, and bad ones get worse. This is the main reason why income property is not an easy path to riches. With some careful screening and management, you can avoid a lot of it though. My husband and I have been discussing buying rental property since the market is so depressed here in Michigan. I have a great contractor I trust that could make any changes we couldn’t handle, but I don’t have a great realtor I trust. I would also want an excellent home inspector. Your contractor could act as your inspector. This could be an advantage, since he could tell you how much the repairs or changes would cost. I had to interview 30 real estate brokers before I found someone I could trust. Good luck. I’d like to add that anyone buying investment property must have a LARGE cash cushion for uneXPECTED expenses and extra time to handle emergencies. Very nice overview! A cash reserve is important for life in general or at least access to cash. The bottom line is you can not plan for everything. Would you care to share yor broker interview questions? That may be a little difficult since it was roughly 33-34 years ago! Some of what I said included my vision of what I wanted to do. In other words, my 5-10 year plan. I was not just buying a property and winging it. I knew I wanted to amass enough assets to support me in the future. I was always looking toward the future. Then I listened for a reaction! I was looking for someone who understood my vision and would work with me. Probably, very different than most buyers. I was also looking for someone who would help me, not just act as a broker.I was looking for someone who would be with me long term. I shared my amount of down payment. When we were looking for a house, we used to attend as many open houses as we could even if we weren’t interested in that property simply to find a good agent! Open houses gave a good opportunity to get to know RE agents and I agree with you, getting a good one is very critical to finding the right property. A broker is a salesman. I was looking for someone who understood my needs and objectives. That was one of my reasons for sharing my 5-10 year plan with him .